Where is Kayak Essentials based? Kayak Essentials is a non-residential course provider in North Wales, providing quality coaching courses at the best paddling venues in Snowdonia and Anglesey. 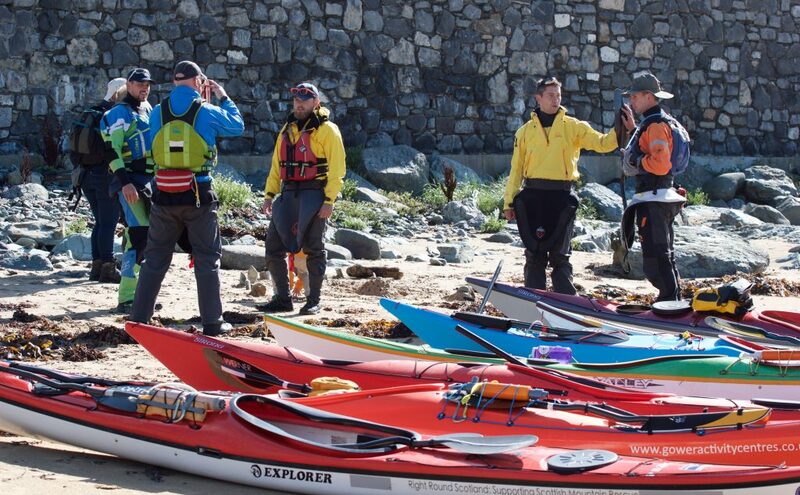 Our sea kayak coaching courses typically meet in the Holyhead area on the west coast of Anglesey. In windy weather we sometimes meet in the Menai Bridge area of Anglesey, with access to more sheltered venues. check out other webpages for further information. We will advise you of an agreed meeting point for the start of the course, during the week prior to your course dates. How do I get to Anglesey? North Wales is easy to reach and well-connected with road, rail and air and ferry links. Our group is staying in an Anglesey accommodation base – can we meet there? Typically yes. Simply tell us the name / location of your chosen accommodation and we’ll meet you there, if possible. Depending on the aims / chosen venues for the coaching course, we may agree a different rendezvous for the start of each coaching day. We will discuss that information with you before the start of the course. Can I stay at Anglesey Outdoors? Most of our clients stay at this centre, which is ideally set up for visiting sea kayakers. just one mile from Holyhead and close to Trearddur Bay. Accommodation options include private rooms, bunkhouse, camping, pods and yurts. There is a friendly bar on site, with catered options available – and a drying room. Other accommodation options are also available. When do the courses begin / end? Unless otherwise agreed, we will meet each morning at 9am, and typically continue until 5.30pm. tide times and weather concerns. We will discuss and agree timings before each coaching day. How many paddlers will be in my group? Many courses have a maximum 4:1 ratio – including advanced leader, rough water and coach education courses. Other courses have a maximum 6:1 ratio – including moderate water skills training and Essential coaching weekends. If you make a private booking, we will coach to your chosen group size – from 1:1 to a maximum of 6:1. Do you provide sea kayaking equipment? We have a small fleet of Valley and North Shore sea kayaks, available for your use. Most of our clients have, and prefer to use, their own sea kayak. If you don’t have one, or if you are unable to bring your sea kayak to North Wales, please let us know. Follow this link to our recommended equipment advice. Other courses, such as white water skills or coach education, have other equipment requirements. We will advise you before the course of what kit we will provide, and what you will need to bring. We have some limited capacity to transport our clients to sea kayaking venues around Anglesey. We encourage car sharing and can assist the process with our own vehicle and trailer. I’m visiting from overseas – I will need transport and a sea kayak. Can you help me? Yes. Contact us with your requirements – we will ensure that you have the right equipment and will arrange transport between your accommodation base and our coaching venues. Follow this link for International Visitors information. Yes. Follow the link to our Accommodation Options page. There are many choices on Anglesey, including camping, bunkhouses, B&Bs and hotels. If you need advice regarding accommodation choice, please let us know.